This is my first season watching The Bachelorette. Yes, I know, I’m behind the curve. I haven’t watched any season of The Bachelor or The Bachelorette, determining it had nothing to do with lasting relationships, choosing to use the space on my DVR for something else. The goal of finding a man who desires a lifelong marriage commitment and is willing to propose at exactly the right moment on camera, well you understand my skepticism. But recently my daughter was visiting when the new season began. She, along with my other daughter and the girls who work with me, are ardent viewers of this series. Convincing me to grab my bottle of water and sit down with her on the sectional, I decided to give it a try. I was quickly filled in on the premise and heard countless stories of the couples from years past. Together we watched three episodes before she left. Now it’s recording weekly on the DVR for me to watch alone in my late-night fare. I still contend this has nothing to do with real life. One woman getting to interview, date, and pick the man of her dreams from a group of 31 in their best clothes, on their best behavior. All done in multiple countries, at 5 star resorts, on helicopter and gondola rides, among castles and majestic landscapes. On no occasion is there anyone fighting over TV channels, trying to pay bills, cooking dinner, doing laundry, or holding a wet washcloth on the forehead of someone kneeling over the porcelain throne. Nope, not real life. Yet each week millions tune in to see which bachelor is given a rose and which bachelor is sent home. Aside from the producer’s drama, I do think there are individuals, including the bachelorette, who would be worth getting to know away from the camera without the production value added. But what has amazed me the most is that I believe the biggest desire met by this production is that they are fulfilling the hope for romance in women’s hearts. The man who will open a door for you, place his hand at the small of your back to guide you into a room, who will put his arm protectively around your shoulders claiming you as his own. The goal of loving and being loved by another. …they are fulfilling the hope for romance in women’s hearts. The irony is that the female viewer is very often in the same demographic that is stridently claiming independence from men and to be in no need of them in their lives. These women embrace feminist’s tenets of equality in both intelligence and ability. They are those who hold to self-sufficiency and liberation from the expected norms of male/female relationships. Watching each week, I wonder how one marries these two concepts? Feminism and the desire for love. 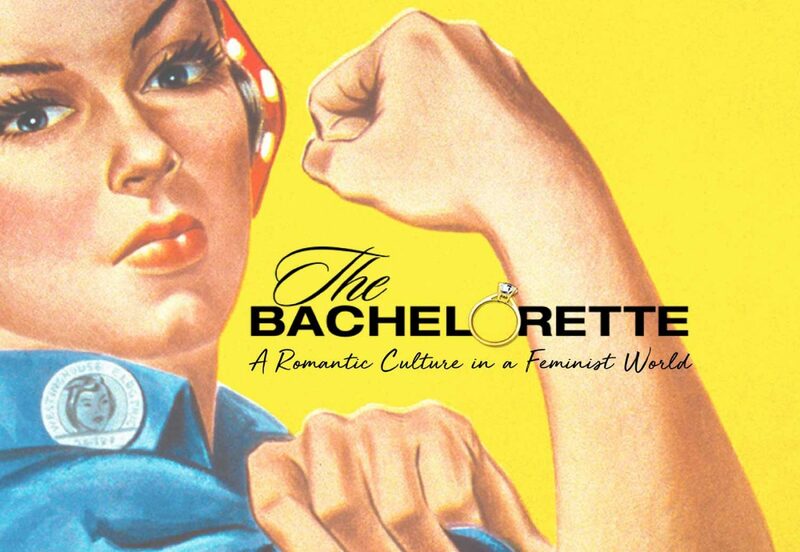 Can we as women want romance and be intellectually equal and self-sufficient? Does either belief or desire diminish the other? I don’t believe it does. We are often told that if we hold to one of these concepts, we must abandon the other. We cannot have both. Especially in the clamorous demands of group thought that permeates much of what we are told we must be. Are we strong, independent women? Yes. But that certainly doesn’t mean we can’t love and depend upon another person. Are we equals in intelligence and ability? Yes. Yet that doesn’t dictate that we can’t admire and respect the intelligence and ability of a man who has earned that place in our lives. Are we capable of standing up for ourselves? We are. Just because we can, it doesn’t preclude finding someone else who will stand with us as well. Can we open a door for ourselves or walk into a room without a man placing an arm around us? Of course we can. But we are worthy of being treasured in a way that a man would want to protect and honor us in the simple gestures. We should be confident enough to enjoy the attention, appreciating what those simple gestures are telling us. Realizing it doesn’t diminish us, but instead reinforces our worth. Can we as women want romance and be intellectually equal and self-sufficient? The strength of a woman’s equality and the desire to belong to someone who will love her well does not need to be at war with one another. We can indeed be both: strong and loved. This is an apparent desire that beats at the heart of many, as is demonstrated by the vast viewership being romanced by this program. Even while the same audience verbalizes their independence. There is something profoundly special in taking two healthy, independent people and joining them in marriage. Creating a bond that, at its best, is a tender reminder of the strength of unity, the combining of talents and abilities. The ability to depend on one another through the good days and the bad days, knowing there is another in your life who really does have your back. One who will love, protect, and defend you. And you will do the same for him. We can indeed be both: strong and loved. I’m still pretty convinced that picking your life partner out of a very large litter is not the best approach. If you’re puppy shopping then okay, get the cute one with the white snout, but for the man of your life, probably not. But that won’t stop me from watching to the end and having opinions of who should be there to accept the final rose.